Thanks to Fjordman, Holger Danske, Insubria, VH, and all the other tipsters who sent these in. Details are below the fold. After some major bumps along the way, there is finally a very encouraging sign in terms of the relationship between the historic Obama Presidential campaign and the six million strong American Muslim community. (By Elisa Pinna) (ANSAmed) — DAMASCUS, JULY 30 — Between 40,000 and 50,000 Iraqi refugees have been arriving in Syria every month since 2003. Their groups cross the desert border, bringing with them despair, anger, fear. They are running from Iraqi violence: they include Muslims, Shiite and Sunni, as well as many Christians, Syrian Orthodox and Chaldean Catholics. So far in Syria they have found hospitality, more or less severe restrictions on visas and free healthcare assistance and guaranteed school for their children. However, the number of refugees, which has reached between 1.5 million and 2.0 million people, threatens to undermine the balance between the ethnic and religious communities, so far guaranteed by the regime of Bashir Assad, in Syria¿s population of some 19 million people. (ANSAmed) — CAIRO, JULY 30 — With the ambiguity typical for many stances of the Mediterranean culture, Grand Mufti of Egypt, Ali Gomaa, stated that, if according to the Sharia (the Islamic law) the inheritance of power is “illegal”, however it is not prohibited to the governors to appoint their successor, Egyptian daily Al Masri El Yom reports. The opinion was expressed in answer to a request for ‘fatwa’ presented by a citizen to the ‘House of Fatwa’ (Dar El Iftaa), the political religious authority charged with deciding on very delicate issues. (ANSAmed) — RIYADH, JULY 30 — A leading Saudi Arabian businessman and member of the country’s Shura Council has called for the creation of women-only industrial zones to generate more jobs for Saudi women. “Many Saudi women are now involved in small-scale industries,” the Arab News newspaper quoted Abdul Rahman Al-Zamil as saying. “Women can play a big role in light industries, such as gold, jewellery and foodstuffs,” he said. Stating that women should be given production areas within and near cities, Al-Zamil said women were usually recruited for light industries, and asked: “Why don’t we develop women-only industrial zones for this purpose?” In this connection, he cited the success of the country’s experience with women-only banks. “It created new job opportunities for Saudi women and helped them make important contributions to the banking and financial sector,” Al-Zamil said. According to him, the women-only industrial areas initiative would be crucial not only in terms of creating jobs for women but also boosting Saudi Arabiàs non-oil revenues. Al-Zamil said non-oil revenues amounted to around 122 billion Saudi riyals ($266.7 million) annually. “The amount represents about 20 percent of the value of the total production in different sectors,” he said. Al-Zamil said the Shura Council was studying an industrial strategy presented by the ministry of commerce and industry, which it would pass shortly. The Shura Council is an institution that allows Saudi citizens to participate directly in the country’s policy administration, planning, and follow-up of the performance of different government agencies. (ANSAmed). (ANSAmed) — CAIRO, JULY 30 — A group of illegal immigrants who were trying to penetrate the Israeli territory from Egypt, instead of being wounded by the Egyptian border police as it often happens, shot at one of the policemen, injuring his legs. Then they managed to escape in the desert, throwing the police off the scent. The event happened not far from the Rafah Crossing, where policeman Mohamed Awad Mohamed was on duty when he saw the Africans trying to cross the border. At his shout to stop, one or two of the group fired at him, wounding with two shots both his legs. While the illegal immigrants were escaping the policeman was helped by colleagues and was taken to hospital. The porous border between Egypt and Israel, despite being guarded by both parties, is continuously a scene of attempts for infiltration in Israel and of gunfire in which the illegal immigrants are usually wounded, sometimes killed. (ANSAmed). The seven Muslim organisations plan to bring their civil case against Jyllands-Posten newspaper for their printing of the Mohammed cartoons to the Supreme Court. ‘We have no doubt that we will continue with the case. We just need to have the legal procedure in place. Our lawyer Michael Havemann has begun by making an application for the case to be heard by the Supreme Court,’ said Bilal Assaad of the Islamic Faith Society. Both the Århus Municipal Court and the Western High Court have found former editor-in-chief Carsten Juste and culture editor Flemming Rose not guilty of libel in connection with the 2005 publication of the 12 cartoons depicting the prophet Mohammed. The Muslim groups accuse the newspaper of likening the prophet to a terrorist as well as offending all Muslims. The two previous decisions found the cartoons were neither insulting nor an expression of contempt for Muslims. They plaintiffs are calling for the courts to punish the two editors to the fullest extend, and have also made a claim for 50,000 kroner compensation. Assaad said that if the organisations did not succeed with their Supreme Court case, they would consider an appeal to the European Court of Human Rights. 31.07.2008. “The European Union’s top court,” reports the BBC, “has ruled that non-EU nationals married to EU citizens are entitled to live in their spouse’s country.” Read more at EU Referendum. HonestThinking comments: This appears to be part of a systematic attempt at preventing European nations from determining their own immigration policies. This issue is becoming a hot issue in Denmark, where authorities are now under pressure from the EU to abandon policies that have been in place since 2001. Scandinavian readers may e.g. want to consult this article: Åpen strid mellom Danmark og EU, indicating a fight or war is about to break out between Denmark and the EU. America is sitting on over 1,000 billion barrels of oil [there’s also about 1,669 trillion cubic feet of natural gas]. Americans who feel squeezed by higher oil prices should know they have a stark choice: More oil and lower prices, or less oil and higher prices. And they should also know who’s to blame for this energy mess: the Democrat-led Congress. Using a conservative estimate, let’s say we pump 3 million barrels a day after developing these Arctic resources. That would boost total U.S. crude output of 8 million barrels a day by 38%. It would shrink the trade deficit, saving us roughly $137 billion a year in money we now send to Mideast and South American oil potentates, some of whom use the money to train and equip terrorists. In short, we’re not running out of oil, we’re swimming in it. Yet, Congress, bizarrely, refuses to allow more crude to be extracted from federal property, imperiling our economic future. Knowing what we do today, those in Congress against drilling are derelict in their duty and don’t deserve to keep jobs in November. A joke in Israel has it that the Knesset, fed up with corruption among elected officials, passed a law. Every guilty official must walk into the Mediterranean to a depth consistent with the degree of guilt. But when the Prime Minister’s legacy is written, it will not be about his tendency to run his political offices like a corrupt political hack, it will be his leading of Israel in a long march toward suicide. In June, a new Muslim group called the Scottish Islamic Foundation is launched in Edinburgh in the presence of Alex Salmond, Scotland’s First Minister. The leading members of the group, together with many of those who lead its events are closely linked to the Muslim Brotherhood. The Scottish Islamic Foundation appears to be aiming to become the Scottish government’s default Muslim partner organisation, a role the Muslim Council of Britain previously fulfilled for the British government. They also have been cited in the Scottish parliament in respect to counterterrorism legislation as well as being consulted on issues such as whether halal slaughter amounts to cruelty to animals. Recently, Iran has been showing increased interest in the Union of the Comoros, the island nation off Africa’s east coast. Iran’s interest in the Union of the Comoros is supported by Comoros President Ahmad Abdallah Sambi, despite opposition from various elements in the country. Just when Gujarat was returning to normalcy after 50 people were killed in Saturday’s serial bombings in Ahemdabad, 23 low-intensity bombs were recovered from Surat by Tuesday evening as cities across India remained on the edge. In Ahmedabad, investigators were yet to get a fix on the perpetrators behind the torrent of 21 blasts that rocked the city Saturday evening and were still rummaging the blast sites and questioning survivors for vital leads. Abdul Halim, a Students Islamic Movement of India (SIMI) activist from Uttar Pradesh, was detained by the police for interrogation. [The stated mission of SIMI is the ‘liberation of India’ from western materialistic cultural influence and to convert it into an Islamic society. It was banned in 2002 for its involvement in terror activities in India. Fears exist that it has been penetrated by Al-Qaeda]. Elsewhere, a middle-aged man, Mohammad Mustaq Ahmed, was arrested for his alleged connection with the Pakistan-based terrorist outfit Lashkar-e-Taiba (LeT) from a southern West Bengal district. (ANSAmed) — CAIRO, JULY 31 — Son of Libyan leader Muammar Gaddafi, Seif al Islam, head of the humanitarian foundation of the same name, has recently spread in Libya video cassettes and CDs with interviews and statements of opposition members who accuse the rulers of tortures and violations of the human rights, pan-Arab daily Al Sharq Al Awsat (Middle East) reported. The daily explains that this act is apparently aimed at providing the world with a much more positive image of the regime which a few years ago gave up the so-called ¿weapons of mass destruction¿. The daily reveals that a few images, just loaded on YouTube where videos denouncing Libya have been already circulating, show members of the Libyan opposition who openly accuse with names and surnames people previously in charge of government offices and members of the popular committees. They “have represented the backbone of the regime”, according to Asharq Al Awsat, launched in Libya by Muammar Gaddafi since 1977 when he proclaimed himself Leader of the Green Revolution. Seif al Islam recently committed himself in public to disclose all the truths regarding the prisons and the violations of human rights regarding the opponents, Al Sharq Al Awsat observes. According to the daily, the make up activity launched by Seif al Islam is aimed at opposing the ongoing campaign of international organisations of civil rights to denounce the every-day violations attributed to the Libyan authorities. From abroad the opponents of Gaddafi play down the importance of these steps. (ANSAmed). (ANSAmed) — ROME, JULY 31 — “After years of embarrassing negotiations, Italy and Libya seem to be ready to settle the legacy, short but particularly bitter, of the Italian colonial adventure in the North African country, which fascist dictator Benito Mussolini liked to call the “fourth shore of the empiré”. This is the beginning of an article on the relations between Rome and Tripoli to be published in tomorrow’s issue of British weekly The Economist, of which ANSA obtained a preview. When Swiss police arrested Moammar Gadhafi’s son in Geneva, the Libyan dictator vowed to punish the European country. Two Swiss nationals in Libya were arrested and oil supplies were threatened. It was the latest in a number of incidents involving Gadhafi’s eccentric brood. (ANSAmed) — RIYADH, JULY 31 — A 56 year-old man was arrested in Saudi Arabia because he has six wives, two more than the Sharia, the Islamic law, allows, it was reported today by Saudi Arabian daily Al-Watan. The man, of Saudi Arabian nationality, who was arrested in the south-eastern Province of Jazan, at the border with Yemen, has three Saudi wives and three Yemenite wives. Al-Watan reported that the man, who is a member of the “Commission for the promotion of virtue and vice prevention (Moutwa)”, rejected the accusations, saying that he divorced from two of the wives. The governor of the Province of Jazan ordered to set up a commission to investigate the case. (ANSAmed). (ANSAmed) — LAMPEDUSA (AGRIGENTO), JULY 31 — New wave of arrivals in Lampedusa: over 500 illegal immigrants have arrived in the past few hours on the island or have been sighted on four different boats. The most significant arrival was registered at around 04.00 in the morning, when a fishing boat managed to enter directly into the port with 339 non-EU citizens, including 47 women and four children. Another smaller boat, with 39 immigrants, landed at dawn on the beach of Cala Croce. A third boat with 47 people, including two women, was intercepted at some 50 miles off the southern coast of Lampedusa by a patrol motor boat of the Coastal Guard, heading towards the island. The latest intervention concerns a fourth boat with one hundred immigrants, rescued by a ship of the Military Navy, at 70 miles south of the island. The hospitality centre of Lampedusa, where yesterday there were some 700 illegal immigrants, with the latest arrivals now risks again to collapse. (ANSAmed). (ANSAmed) — MADRID, JULY 31 — New wave of arrivals of Algerian illegal immigrants in Spain: over 91 people arrived on board 10 boats in the past 48 hours in Alicante and Murcia, according to sources from the Civil Guard, reported by the media. Seven boats were stopped a few kilometres far from Murciàs coast, while three managed to dock, avoiding police controls, in the bay of Torrevieja (Alicante). The presidency councillor of the autonomous community of Murcia, Juan Antonio de Heras, accused the central government of “total lack of forecasting skills”, stating that the arrivals “exposed the lies” of the executive power about the adoption of the Integrated External Vigilance System (SIVE) in the region, where it is expected to start working in 2009. Despite the increase of the past few days in the inflow of illegal immigrants from Algeria, the number of arrivals is below the one of 2007, according to sources from the Interior Ministry. The stay of the Algerian illegal immigrants in temporary detention centres is usually a few days long, given that the repatriation to the countries of origin are carried out by ferry, from Alicante to Orano and from Almeria to Ghazaouet, with almost daily frequency during the high season period. (ANSAmed). (ANSAmed) — CASAL DI PRINCIPE (CASERTA), JULY 31 — The landings on Lampedusa will be resolved almost a hundred percent when the agreement with Libya which envisages joint patrol of the Libyan waters enters into force, Interior Minister, Roberto Maroni, said during a news conference in Casal di Principe. “Unfortunately the landings could not be avoided by a decree law, but through launch of the agreement with Libya which envisages patrol of the waters of the North African country, but this could not be done without the agreement of Libya; when we have its agreement there will not be landings on Lampedusa anymore,” the minister explained. Maroni also said that the government is committed in this direction. “Prime Minister Berluconi went to Libya a few days ago to speak about that with Gaddafi, Foreign Minister Frattini is very active, everything we could do we did it, we have been already examining the ports where to put the bases,” he reminded. If Libya gives a go-ahead in September, he added, “we must expect a very difficult August”. As regards the illegal immigrants who land, the minister continued, “we cannot do than welcome them and this is the first stage, but then there is a second stage, if they do not have the right to stay in Italy they will return at home”. (ANSAmed). (ANSAmed) — ROME, JULY 31 — A dramatic day in terms of illegal immigration, with Lampedusa and its first reception centre on the brink of collapse, for the almost 1,500 non-EU citizens who crowded a centre of maximum capacity of 600 people. The arrivals followed one after the other with an unusual rhythm so far: eight. Small boats full to the improbability which, thanks to the good conditions at sea, set sail from North Africa with the hope to find a landing in Italy. But, if this is news, the day also registered a new important political chapter. Interior Minister Roberto Maroni announced that an accord had been reached with the Libyan government which would solve the problem almost completely, allowing joint patrolling along the coasts of the North African country. But the agreement before entering into force asks for more time and therefore the arrivals at least for the next weeks seem destined to multiple. The latest one on Lampedusa happened late in the afternoon, 67 illegal immigrants including eight women have just arrived on the island after having been rescued by a patrol boat of the finance guard some seven miles south from the island. Hundreds of desperate people who continue arriving and who at the centre of Lampedusa have the first impact with the desired country even understanding that the travel in the sea can transform in a tragedy. Like the one of this morning when two women died off the coast of Malta. Lampedusa launched its desperate appeal: don’t leave us alone in dealing with this emergency. But there are already over thousand immigrants crowding the hangars of the old barracks in Imbriacola district (of them some 200 women, some 30 children and three newborns). (ANSAmed). Yes, there is one, but it’s not one of the Big Two. As George Wallace famously said, there isn’t a dime’s worth of difference between the two political parties. The upcoming election is a real hold-your-nose-and-vote occasion, the worst that I can remember. 1. The Republicans are willing to kill the enemies of our country (certain selected groups of them, anyway) on occasion, when our national security is in danger. Democrats, in contrast, are unwilling to use violence in defense of our nation anytime, anywhere, ever. 2. The Democrats want to enlarge the government by raising taxes and increasing spending, whereas the Republicans want to enlarge the government by borrowing money and increasing spending. Oh, yes, one more thing: the Democrats have more movie stars at their inaugural balls. There are so many things that Democrats and the Republicans can agree on. No child must ever be left behind. Unproven theories about environmental damage require massive government intervention, no matter how costly it turns out to be. The government has a responsibility to find people jobs, manage their child-rearing, and pay for their college education. When anyone is in pain, the federal government must lurch into action. Both parties want to import millions of people from Mexico to pick our vegetables, mow our lawns, and elect more Democrats to office. It is apparent that my former political party, the GOP, is not out for the interest of our country, but only out for the sole purpose of self-perpetuation. When you put the future of this nation into the hands of only two parties, you have a choice that sometimes seems like the lesser of two evils. Why should we have to pick between evils? Why can’t we choose freedom, and not which will take less of our freedom? Why should it be dictated by the government — and I mean both candidates — what type of light bulb you should use, based on unproven theories? Why do our candidates address the citizens of Europe in their campaign speeches? Are we going to join the EU any time soon? I think not! There are many people in this election year who are utterly frustrated with the choice of candidates that we have. Out of this frustration the American Conservative Party has been founded. We stand for personal freedom, minimal government, and the upholding of the law. From this you can see that on the most basic tenets of our philosophy we are with you. We allow opinions to be spoken, we encourage free discussion, and we know that the Gates of Vienna does the same. We don’t expect to make any difference in the upcoming election; however, everything must start somewhere. We are patient and willing to wait for our time to come. We are patriots, and want what is best for our country, as you do. The American Conservative Party’s mission is to promote and protect individual rights and freedoms as set forth in the United States Constitution, and to limit the scope of government to the authority set forth in the same. Our efforts will be focused on building and leading opposition to intrusive government agencies and policies at all levels (federal/state/local); promoting initiatives and ideas that address issues via the private sector; and supporting candidates that understand the primary purpose of government is to protect its citizens from foreign threats, not the individual from himself. The Creed of the ACP is a belief system of how we feel a just government and its citizens should interact. the legitimacy of government exists only as long as it defends human liberty. the origin of human liberty predates government, and therefore liberty cannot be repealed by government. the existence of human liberty presupposes the right to defend it, and the basic right to live begets the rights of self-defense and free expression. the self-ownership evident in human liberty begets basic rights over one’s self and time, and that the right to pursue happiness and self-fulfillment originate here. the boundary of human liberty ends where it transgresses the rights of another. Jurisprudence exists to mediate disputes where the boundaries of more than one individual intersect. the armed forces and law enforcement exist to bolster private defense, not to supplant it. that the American Experiment was born out of these beliefs and that it has resulted in a bountiful gain for the human condition. We the People of the United States, in Order to form a more perfect Union, establish Justice, insure domestic Tranquility, provide for the common defense, promote the general Welfare, and secure the Blessings of Liberty to ourselves and our Posterity do ordain and establish the Constitution for the United States of America. The details for the ACP’s principles may be found at the link. Major change will only be forced on the Big Two by a significant national catastrophe, or by competition from a third political party. There hasn’t been a serious challenge to the Republicans and the Democrats for a hundred years, since the heyday of the Progressive Party. When the Progressives melded into the Democratic Party, they dragged it permanently to the Left. If the ACP doesn’t succeed on its own, maybe it could do the same to the Republicans, but in the opposite direction. Either outcome is all right with me. This post is dedicated to The Poster Formerly Known as Gordon, who sneered it into existence by posting an off-topic comment at the top of this morning’s thread. Thanks to Henrik for commissioning it, and to our Austrian correspondent ESW for writing it. Earlier this month the Bosnian Serb fugitive Radovan Karadzic surrendered to the authorities after more than a decade in hiding. He now faces war crimes charges before the International Criminal Tribunal in the Hague. There are various thoughts going in circles in my head as I watch the first appearance of Radovan Karadzic at his trial at The Hague. What is most interesting to watch is how CNN is insinuating a conviction ahead of the trial. “Ethnic cleansing, creation of an ethnically pure state. 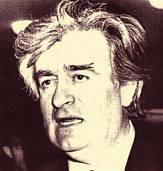 Forces of Karadzic killed more than 200,000, mostly Muslims, simply because of ethnic issues,” Christiane Amanpour gushes, very obviously happy about seeing Karadzic in front the international tribunal. Again, it boils down to “bad” Serbs and “good” Muslims. That is the message the international viewer gets while watching CNN. CNN presents, as always, only one side of the story. “People in Sarajevo are either Muslim or Croat.” Alessio Vinci reports from Sarajevo. Muslim or Croat? When did Islam get statehood so that a Muslim can be compared to a Croat? Vinci at least mentions, in passing, supporters of Karadzic he interviewed, though this interview itself was not shown. There were a couple of Sarajevan men sitting in a café in Sarajevo — while in the background a fully veiled young woman could be seen — who were happy to tell the reporter about the atrocities that they did not witness because they were seven years old at the time and out of the country. CNN is continuously talking about Serb atrocities, while diminishing atrocities committed by the other side. And there surely must have been another side to this conflict. It just isn’t being reported on, not by CNN. Like many others, I never really believed what we were shown and told about the Serb concentration camps. It was merely a gut feeling at the time, but suddenly I am being taught a different truth. This is exactly what Austrians — and the world, for that matter — have been fed for almost the past two decades. I have a feeling that we are in for a history lesson. We will be relearning a history that has been spoon-fed to us by the MSM, by our politicians, and I daresay even the Muslims. Perhaps you’ll also be convinced that there is a different truth, a different history out there. And it certainly isn’t what CNN, BBC, ITN, and all the others are showing us. According to my Danish contacts, the issue of the recent European Court of Justice (ECJ) ruling about Ireland, and its implications for the Danes, has caused a tremendous uproar in Denmark. The political elites who run the show might have been willing to roll over for the ECJ — business as usual — and surrender Danish sovereignty, but a strong popular resistance has arisen. Pittelkow says that Denmark’s cherished openness is under attack by Islamists due to a clash of values epitomized by the cartoons. He argues that Islamic radicalism nearly triumphed during the crisis because many editors and political figures in Denmark and elsewhere accepted Islamic arguments that publishing the caricatures was an affront to Islam, turning their backs on free speech. As you might know, this problem has made quite an impact in Denmark, and the rifts among the Danes are now being made quite clear. There are those who insist on national self-determination and Danish democracy regardless of the matter, and those who are wishy-washy and follow either the Danish government when expedient for their cause, or the EU when expedient for their cause (a small but sizable fraction of Social Democrats and left-wingers), and lastly those who want unconditional surrender of Danish sovereignty to EU, UN, and whoever else wants it, except the Danes. Fortunately the first group seems to be in the majority, and with this case their numbers are increasing. And for the first time in a long time there are even voices in the MSM that call for leaving the EU, which is probably not likely at the moment, but just a couple of months ago it would have been unheard of. So no matter where this situation ends, people are starting to have their eyes opened to the problem that membership of EU constitutes, and the dwindling benefits of the same. The government must make it clear to everyone else that if the Danish problem isn’t solved, it will become a problem for the whole EU. The ECJ (European Court of Justice) has delivered verdicts that most likely will be devastating for Danish immigration policies. This happens without any kind of public mandate to bypass a central part of Danish politics. A clearly untenable situation. One concerns a change in the strong political role of the ECJ; this is a long-term project. The other path is to ensure that Danish immigration policy is preserved. This is an urgent matter. It is nothing new for the ECJ to make decisions that actively and deeply affect political matters. The novelty is that these days they have become much more controversial and damaging for the public trust in the EU. The EU citizens have become a lot less orthodox and at the same time they have become more eager to put limits on the EU’s power grab. This is because the common values among nation-states are still stronger than the EU. When the French, the Dutch, and the Irish voted no to the new treaty-suggestions, it was in no small part because they were concerned about what they meant for the relationship between the EU and the member states. The ECJ’s political role adds to the concerns, and to the serious crisis of public trust which it causes. The undermining of Danish immigration policy is a glaring example. The solution must start with the EU politicians making decisions that are more precise and thus give less leeway for the court’s interpretations. But at the same time strong signals must be sent that the judges should be considerably more reluctant in their politicizing. This debate ought to have been raised in conjunction with the Lisbon Treaty, which didn’t happen. To which there is nothing else to say but than that it must be raised anyway. But the solution to the current Danish problem cannot wait until this process gets started. The starting point for Denmark must be to seek a solution together with the other countries. The EU expert Ole Ryborg has mentioned the possibility that the EU directive that the ECJ verdict is based on could be made more precise, so that the negative effect on Danish immigration policy is avoided. Perhaps that is a way. But no matter which way the problem is attacked, it is a political reality that cannot be avoided: the Danish government would never be able to accept the nullification of an immigration policy which is a vital part of its public mandate, one that the voters have given the politicians at the latest three general elections. The Danish government must thus signal flexibility on the road to a solution, but be unbending in the defense of immigration policy. It shouldn’t issue threats about ignoring the ECJ’s verdicts in this case. But it is great if the possibility is hanging in the air. The EU has enough on its plate after the Irish no to the Lisbon Treaty. But if the Irish problem is now followed by a major conflict with Denmark about a policy that is lifeblood for the Danes, and is being met with considerable understanding in other countries, it will damage people’s opinion of the EU even further. The government must make it clear to the others that if the Danish problem isn’t solved it will become a problem for the whole of the EU. This article (AKP door oog van de naald ) appeared earlier today on Vlaams Belang’s website, and our Flemish correspondent VH kindly volunteered to translate it for us. Vlaams Belang is understandably put off by the tender solicitousness shown towards the Turkish AKP party, given that their predecessor party was banned from politics in Belgium. The supporters of political Islam in Turkey today won a battle because the supreme court in the end didn’t dare to ban the Prime Minister Erdogan’s party AKP [on charges of undermining the secular state and striving for the Islamification of Turkey]. Although six of the eleven judges voted for the ban it still was one vote away from the required super-majority. The court ruling yesterday though does not at all mean the end of the [political] crisis and to the power struggle between the Kemalistic [secular] political elite and the Islamic [Muslim fundamentalist] AKP, which holds Turkey in a grip already for several years now. Meanwhile this means unmistakably the (continuing) Islamification of the EU candidate member state, which in fact increasingly belongs to the Middle East. STOCKHOLM (AFP) — Two new publishing houses for children’s books have sparked debate in gender-equal Sweden over their professed aim of instilling the country’s open-minded social values in the next generation. “Our goal is for all people, regardless of gender, sexuality, ethnicity or other such things, to have the freedom to create their own identity and be respected for their personal qualities,” said Karin Salmson, the co-founder of the new Vilda publishing house. But several critics are outraged, saying they are simply pushing propaganda disguised as literature. Vilda and another small publisher, Olika, both opened their doors last year with the express aim of making children’s books that promote liberal values and challenge traditional views on gender, race and sexual orientation. “Many parents feel forced to change he to she or she to he and other details as they read stories for their children, because so many details in children’s books are so very traditional,” Salmson said. Vilda has therefore introduced a so-called “hug label”, guaranteeing that its books have been “scrutinised from a democracy, equality and diversity perspective” and contain no details “based on prejudice or traditional gender roles that rein in individual freedom”. Rome, July 31 — The Italian parliament ratified the European Union’s Lisbon Treaty on Thursday. All MPs and ministers rose to applaud the unanimous vote except the Northern League who did not budge. Italian President Giorgio Napolitano said the vote reflected ‘‘renewed prestige for the European role of our country’’. ‘‘I am happy that the government, the majority and the opposition have expressed a common view on a crucial terrain for the future of the country,’’ he said. He voiced the hope that the EU’s ratification process would be completed before next June’s European Parliament elections. The Council of Europe (CoE) was founded in 1949, earlier than the European Community/European Union. It is still a separate organization but very much within the orbit of the EU’s Eurabian networks and cooperates increasingly closer on “dialogue” with Islamic countries. For instance, the North-South Centre (for cooperation between Europe and the Arab world), officially named the European Centre for Global Interdependence and Solidarity, is an EU/CoE partnership. A Memorandum of Understanding between the Council of Europe and the European Union from May 2007 outlines many areas of cooperation between the two organizations, including intercultural dialogue and cultural diversity, education and youth as well as the fight against discrimination, racism, xenophobia and intolerance (which includes “Islamophobia”). Finally, the White Paper lists many institutions it should cooperate with, most of them Islamic organizations or organizations geared towards appeasing Muslims, for instance the Anna Lindh Euro-Mediterranean Foundation for the Dialogue between Cultures, which is one of the EU’s most important instruments for Eurabian cooperation. One major issue emerged from the “What Can We Do?” thread. It is one that frequently arises in a lot of other threads as well. Namely, whether Islam can be defeated without first breaking liberalism’s Politically Correct stranglehold on the Western mindset. I propose a thread titled, “The Quiet Game”. It refers to the title of a murder mystery written by Greg Iles. “The Quiet Game” is a dinnertime ruse used by parents to keep children quiet. This is done by having a contest to see can go the longest without speaking. I propose to use this concept in referring to how both the Left and Right are playing mum on the threat of Islam. As Serge Trifkovic says, they are “refusing to name the enemy”. I then want to connect this up into the more important theme of whether Islam can be defeated without first killing Political Correctness. It concerns me greatly to witness so many people resign themselves to seeing America undergo nuclear terrorist attack before they think US citizens will mobilize. We need to break through that resignation and begin getting some consensus on exactly how and what it will take to bring Islam down. Personally, I believe that Islam needs to go first. Not just because it is the greater threat but also due to how the Left’s protection of Muslim agendas will finally reveal Liberals for the traitorous element they have become. Communism was too widely accepted and masked its intentions too well for it to have been a millstone around the left’s neck like it should have been. Islam is so odious and barbaric that this is one albatross the Left will not be able to wear without stinking up the room. By directing the West’s major effort against Islam, it will automatically highlight the Left’s complicity in propelling jihad and forever maim its credibility. This will my own major assertion upon which further debate can be grounded. OK, Zenster — here you go. Everyone can have at it, while remembering the Rules of Discourse for Gates of Vienna. I have a hard day ahead of me at work, so you all are mostly on your own. I’m getting so much material for the news feed now that I can barely keep up with it. Almost everything is included tonight; however, not all of the stories are mentioned above the fold in these headlines. Make sure you check out the whole list, especially the Italian articles, and the stories about the potential for terrorist attacks at the Olympics in China. Why Do Europeans Love Obama? Thanks to Amil Imani, Barry Rubin, CK, CzC, Infidels Are Cool, Insubria, Kepiblanc, LN, Mark Krikorian, RE, Steen, VH, and all the other tipsters who sent these in. Details are below the fold. 1) Obama’s tax code, support of big government programs and redistribution of income, and subservience to UN directives delight the European masses—especially at a time when their own governments are trying to cut taxes, government, seek closer relations with the US, and ask a petulant, pampered public to grow up. 2) He offers Euros a sort of cheap assuagement of guilt—in classic liberal style. When Obama says falsely that he does not look like other Americans who have addressed Germans (cf. Colin Powell or Condoleeza Rice who have represented US foreign policy abroad the last 7 years), Europeans feel especially progressive—and therefore need not worry that no one of African ancestry would ever become a European Prime- or Foreign-Minister. (ANSAmed) — TRIPOLI, JULY 29 — Libya today advised its nationals living abroad against visiting Switzerland in order to avoid being faced with “arbitrary measures”, the Libyan Foreign Ministry said in a statement. “Due to the arbitrary measures, the disrespect and humiliation inflicted by the Swiss authorities on Arab and Libyan citizens, the citizens of the Great Jamahiriya are advised against travelling to Switzerland to avoid similar measures,” a note on the website of the ministry reads. The warning was issued following tension with Switzerland caused by the short detention of the son of Libyan colonel Gaddafi in Geneva. Hannibal Gaddafi, the fourth son of the colonel, and his wife were arrested on July 15 after two members of their staff complained of maltreatment. The couple, who deny the accusations, was released two days later on bail of 500,000 Swiss francs (312,500 euro). The arrest provoked retaliations on the part of Tripoli, which suspended oil supplies to Switzerland, forced various Swiss companies to close their offices in Libya and arrested two Swiss nationals. (ANSAmed). Rabat, 29 July (AKI) — Despite a move four years ago to curb child marriage in Morocco, the practice is still quite common in the country, according to new data provided by the authorities. The Moroccan Justice Minister Abdel Wahid al-Radi, said that in 2007 alone, his ministry received 38,710 marriage applications involving a minor, in which about 90 percent of the cases were approved. This despite the reform of Morocco’s Family Law or Mudawana four years ago which outlawed child marriages except in special cases that have been approved by the Justice Ministry. (ANSA) — Vicenza, July 29 — Italy’s highest administrative court on Tuesday overturned a regional court’s ruling against the planned expansion of an air base here to make room for American military personnel. Upholding an appeal from the Italian government, the Council of State said the TAR of Veneto, which came out against the expansion on June 20, had no remit for political questions involving Italy and the United States. It also stressed that there was no legal requirement to sound out the local population, which is believed to be largely against the expansion. The Council of State said there was no ‘‘hard evidence’’ for the kind of environmental damage protesters claimed the expansion of the Dal Molin base would bring. (ANSAmed) — JERUSALEM, JULY 29 — Hamas, the Islamic movement that controls the Gaza Strip, today threatened Al Fatah, the rival organisation led by Palestinian President Mahmoud Abbas (Abu Mazen), with intifada in the West Bank against the forces of the Palestinian National Authority (PNA), accused of colluding with Israel against Hamas activists. The threat came as a reaction to the arrest of some 150 supporters of the Islamic movement in the West Bank on the part of the PNA security services. The wave of arrests took place in response to the arrests of Al Fatah supporters in Gaza, carried out by Hamas security services, following an attack on Friday in Gaza City which killed five Hamas militants and a Palestinian girl. Sami Abu Zuhri, Hamas spokesman in Gaza, warned PNA that the clamp down on Hamas in Gaza “can only lead to a new revolt against Israel and its security agents” with a transparent sarcastic reference to the Palestinian forces loyal to Abbas. “You should be well aware that once you lose the protection of Zionists (Israel), the people will break into your offices and will get you,” he added. A Palestinian security source in Ramallah said that these threats were made by “irresponsible persons” and denied information about ongoing indiscriminate arrests of people related to Hamas. (ANSAmed). Alleged derogatory remarks about Islam during an assembly at a Cape Town school have infuriated Muslim pupils and parents who allege a Christian preacher made statements such as “Jesus is alive, unlike that thing Allah” and “Islam is a puppet religion”. They demanded that speakers be rigorously screened before being invited to address pupils after the preacher was asked to address Groote Schuur High School on Monday. The education department is investigating. One of the parents, who declined to be named for fear her child would be victimised, said her daughter had called her after some of the Muslim pupils had staged a walk-out in response to the remarks. “But the teachers prevented them from leaving. None of the educators at the school or the principal stopped the preacher from addressing the pupils. The kids were very upset. “When I spoke to the principal, he said he had not heard what was said because the microphone was not working properly and the sound was not right, but the children heard it,” she said. The Islamic Republic terror machine once again has taken off at the speed of light in Iran and exemplifies a depraved, clerical system of government, which legitimizes its depravity through a series of terror, fear and intimidation of Iranian people. With the additional handpicking of the newly selected members of the Islamic “Majles,” the clergies have intensified their terror and war against the people of Iran and their insatiable appetite for another holocaust against the Jewish State, at all cost. The leaders of the Islamic Republic have gone completely mad. The Islamic Republic has stationed revolutionary and militia troops to actively and deliberately prevent anyone from any demonstrations or objections against the totalitarian regime. They are planning to silence people by any means available to them. What should be the place of Shari’a—Islamic religious law—in predominantly Muslim societies of the world? In this ambitious and topical book, a Muslim scholar and human rights activist envisions a positive and sustainable role for Shari’a, based on a profound rethinking of the relationship between religion and the secular state in all societies. Some stellar phrases dominated the election campaign last year. Australia faced a “fork in the road”, said Kevin Rudd. As Prime Minister, he faces his own fork in the road. Rudd announced he was Multilateral Man, a modern social democrat leader who would forge a new foreign policy for Australia. Eschewing the Howard years, Rudd would apparently take us down a new, more inclusive road. He would fully embrace multilateralism as the best way to achieve global peace. But here’s the thing. Multilateralism is not an inherent good. Sometimes its very inclusiveness ensures a rotten result. That much was obvious at the confab in Durban in 2001 when a conference aimed at combating racism degenerated into a bigoted hate-fest against the US and Israel. Non-government organisations in Durban handed out pamphlets depicting Israelis as modern-day Nazis and free T-shirts demanding the dismantling of Israel. Even former US secretary of state Colin Powell — a good friend of the UN — walked out, declaring that “you do not combat racism by conferences that produce declarations containing hateful language”. Such was the moral bankruptcy at the Durban festival of hate, the then UN high commissioner for human rights, Mary Robinson, refused to be part of the ceremony that tabled the forum’s documents. Multilateralism, Durban-style, provided a platform, under the auspices of the international community, for anti-West Westerners and the most egregious abusers of human rights to rail against the West. The Durban I debacle means that, if Rudd really is a sensible fusion between hardheaded realism and liberal idealism, as some have claimed, he will need to show that he can be choosy about multilateralism. And the measure of his commitment to multilateralism ought to go something like this. Meaningful multilateralism that actually achieves a common good is the aim. [Screen reads:] Attention! This film contains Koranic verses and the Holy Prophet’s teachings. It is not authorized to distribute it by adding music. OSC caption: Beijing Olympics 2008 sign in flames. OSC caption: Video edit of fire around stadium, then fake explosion. OSC caption: Title “Our Blessed Jihad in Yunnan “ and pictures of Yunnan buses after explosion. [Seyfullah:] [Arabic omitted] In relation to our blessed jihad in Yunnan . [Seyfullah:] Despite the Turkistan Islamic Party’s repeated warnings to China and international community about stopping the 29th Olympics in Beijing , the Chinese have haughtily ignored our warnings. The Turkistan Islamic Party volunteers who had gone through special preparation have started urgent actions. They bombed 2 public buses in Shanghai on 5 May 2008 and took voluntary action against police in Wenzhou on 17 May with a tractor loaded with explosives. They carried out a bombing in a plastic factory in Guangzhou on 17 July and bombed 3 public busses in Yunnan on 21 July. [Seyfullah:] Through this blessed jihad in Yunnan this time, the Turkistan Islamic Party warns China one more time. Our aim is to target the most critical points related to the Olympics. We will try to attack Chinese central cities severely using the tactics that have never been employed. [Seyfullah:] We warn China and the international community for the last time that those spectators, athletes, particularly the Muslims, who are planning to attend the Olympics, please change your intention from going to China . Please do not stand together with the faithless people. The Turkistan Islamic Party volunteers will conduct violent military actions against individuals, departments, venues, and activities that are related to the Olympics in China . [Seyfullah:] You must be aware that China will never be able to protect these. If you want to save your life, then please stay away from the Olympics in China . If God is willing, the Communist China will not celebrate the Olympics peacefully as they desired. OSC caption: Turkistan Islamic Party Voice of Islam Information Center, 23 July 2008. Chinese authorities have dismissed claims by a militant Islamic group that it was responsible for the recent explosions on buses. The Turkestan Islamic Party [TIP] has claimed responsibility for a series of attacks in different Chinese cities, including the deadly bus explosions in Shanghai and Kunming. But the Chinese authorities deny the bus explosions are linked to any act of terrorism. It’s a denial which seems to run contradictory to its claim that the Olympic games could well be targetted by terrorists. But in a video recently released [see below], TIP, an ethnic [Muslim] Uigher group, also claims responsibilities for other incidents and warns of more to come in the runup to and during the Beijing olympics. There are a number of militant Islamic groups in China’s North western Xinjiang province, among them TIP and ETIM [East Turkestan Islamic Movement] or the Uigher Islamic Party of East Turkestan, which has been labelled as a terrorist organisation by both China and the United States. Just last week Beijing said it had cracked down five terrorist cells, with the last group foiled from attacking the olympic football stadium in Shanghai. (ANSAmed) — JERUSALEM, JULY 30 — German television network ARD announced today the closure of its correspondent office in Gaza, following the arrest by Hamas’ police of its Palestinian cameraman Sawah Abu Seif, of whom there have been no news for several days. It is feared that Seif has been tortured and might be in serious conditions. The cameraman had been stopped by the men of Hamas during the wave of arrests of Fatah exponents, in reaction to an attack, which on Friday evening claimed the lives of five Hamas militants and a little Palestinian girl. Al Fatah declared not to be involved in the attack. Hamas sources in Gaza confirmed that the cameraman is being detained and interrogated on his alleged connections to Fatah. (ANSAmed). (ANSAmed) — MADRID, JULY 30 — In order to grant immigrants the right to vote in local elections in Spain, the government will name a special ambassador to negotiate accords of mutual respect with various countries, Deputy Prime Minister Maria Teresa Fernandez de la Vega said today at the Constitutional Committees of the Congress. De la Vega explained that the initiative responds to the commitment of the government led by Zapatero to grant immigrants the right to vote in local elections. And, once the Constitution envisages the mutual respect, or that the Spanish are allowed to vote abroad, the special ambassador appointed ad hoc will be able to work on the signing of complementary accords to the ones envisaged in the cooperation and friendship agreements signed by Spain. “It is a matter of justice that they vote alongside with us,” the deputy prime minister said referring to the immigrants, emphasising that their vote must be introduced in the constitutional framework. De la Vega asked the parliamentary groups to study the possibility to introduce an electronic vote through the Internet in order to avoid inconvenience at the ballot-boxes or in consulate offices. (ANSAmed). (ANSAmed) — BEIRUT, JULY 30 — With the face disfigured and stabbed in several parts of the body: thus Lebanese pop singer Suzanne Tamim, 31, was found dead in her apartment in Dubai, in the United Arab Emirates. The singer had been far from her country’s stages for years. The news was reported today by Lebanese news portal ‘al-Nashra’. According to the Internet website, Tamim was found dead on Monday, after “her relatives and friends had lost track of her movements for months”. “Her body was stabbed in several points and her face was disfigured with a small knife before her death” the portal added. A “secret” resident for the past eight months of Dubai, after having lived for years in Cairo, Tamim had married twice but divorced from both husbands. The pop star had reached fame in 1996, when she won the national singing contest Studio al-Fann (Artistic Studio). Her latest album was published in 2002, while two years ago her song ‘Lovers’ came out, written on the occasion of the first anniversary of the killing, in an attack in Beirut, of former Lebanese Prime Minister Rafiq Hariri. (ANSAmed). (ANSAmed) — ROME, JULY 30 — The wave of arrivals of illegal immigrants on the Italian coasts is not stopping. It is mainly the island of Lampedusa which has to bear the largest number of immigrants. Only today, four boats were intercepted or rescued by units of the Italian Navy. Today in the afternoon at some 30 miles south of the island, a dinghy with 47 people on board was rescued. The immigrants were taken on board and transported to Lampedusa in the evening. A further 171 immigrants on three boats were rescued in the Sicilian Channel by the ship Spica of the Military Navy. Among the rescued people there are 32 women. At the moment, the hospitality centre of Lampedusa is hosting some 500 people. A small boat with 17 illegal immigrants on board, including several minors, coming from the Algerian coast, was intercepted at 0830 local time by the air and sea unit of the Financial Police at 12 miles south of Cape Spartivento, off the southern coast of Sardinia. The immigrants were taken on board by patrol motor boat Inzerilli of the Financial Police, which is carrying them to the hospitality and first aid centre of Elmas, which is now full up (it can host 160 illegal immigrants and some 150 refugees asking for asylum). Yesterday, a total 48 immigrants arrived in Sardinia in several groups. The phenomenon is seen to intensify during this week; the Algerian authorities have been notified and will increase controls along the coasts. (ANSAmed). (ANSAmed) — MADRID, JULY 30 — The decrease in the number of illegal immigrants arriving to the Canary Islands via sea is due to the “shift” to the coasts of Italy, Gil Arias Fernandez, Deputy Executive Director of the European Agency for the Management of Operational Cooperation at the External Borders of the European Union (Frontex), said today. In a statement to radio Onda Zero, Arias Fernandez said that the 11% decrease in arrivals registered in the Canary Islands since the beginning of the year is explained by the fact that “large part of the immigrants who used to sail towards the archipelago are now directed to Italy”. According to the Frontex director, there is “a change of the flow, a shift effect” by the immigrants from Mali, Senegal, Nigeria, who now go through Libya before crossing the sea on their way to Lampedusa or Malta. According to the official data published by Europa Press, the arrivals of immigrants to the Canary Islands have fallen by 60% in 2007, compared to the previous year. A total of 4,557 illegal immigrants have landed on the islands since the beginning of the year, 1,037 less than the first seven months of 2007. (ANSAmed). The article from “Die Welt” has now been transformed into a short video-clip and aired on one of Germany’s largest TV-networks RTL. Italy is sending troops on to its streets to fight crime, stem illegal immigration and defend terrorist targets. Its Centre-Right government signed a decree yesterday that will deploy 4,000 soldiers starting next week. They will patrol with police officers in large cities such as Rome, Milan, Naples and Palermo. They will not have powers of arrest, but will be able to detain people until police arrive. They will also guard ‘sensitive targets’ of terrorism, such as the Vatican, stations and embassies, and guard illegal immigrant detention centres on Italy’s southern coast. But the opposition criticised the move as token window-dressing that could hurt the country’s image abroad and scare tourists away. The release of Samir Kuntar and his four colleagues, and the national jubilation that greeted their return to Lebanon, bring to a close a week of achievement for the regional bloc of which Hizbullah is a member. The events of the week, however, do not resolve any of the issues of which they form a part. Rather, they plant the seeds of further confrontation. After six weeks of disputation, the formation of a new government was announced in Beirut on July 11, with Hizbullah gaining veto power in the new cabinet. The pro-Western parliamentary majority holds 16 cabinet seats, against 11 for the opposition (including Hizbullah) and three named directly by President Michel Suleiman. Over the last two months, Israeli security forces have arrested six young Arab men suspected of seeking to form an extreme Islamist cell for the purpose of carrying out high-profile terror attacks in the capital. Two of the six held Israeli citizenship, while the other four were residents of east Jerusalem. It appears that they were radicalized through involvement in an Islamic study circle and via the Internet. Two Arab Israeli citizens from the town of Rahat were arrested in recent weeks on similar suspicions. In the context of the Israeli-Palestinian conflict, these events reflect strange, unfamiliar patterns. Place them on a broader canvas, however, and the novelty sharply decreases. The latest events appear to reflect the arrival of global jihad methods and codes of practice to our shores. They are the most visible part of a broader and little-remarked-upon process taking place in Jerusalem, the West Bank and (particularly) in Gaza. This is the growing presence of preachers, organizations and individuals committed to the extreme Sunni Islamist current known as “Salafiyya.” This is the ideology associated with al-Qaida. However, it is important to stress that what is happening is the penetration of ideas and models of activity, rather than the establishment of a new, centralized movement. The process whereby young men become radicalized through contact with Islamist ideas via preachers or the Internet and then go on to form ad hoc terror cells has been observed in Muslim communities in Europe and further afield. So how is Salafism gaining its foothold west of the Jordan River? Through the relatively simple formula of preaching, education, the creation of groups of devotees, and the subsequent self-organization of those devotees. WASHINGTON (July 30, 2008) — A new analysis of monthly Census Bureau data shows a significant decline in the number of less-educated Hispanic immigrants. The report is the first to show systematic evidence that the illegal population is decreasing. There is good evidence that recent immigration enforcement efforts are a key factor causing the decline. The report, entitled “Homeward Bound: Recent Immigration Enforcement and the Decline in the Illegal Alien Population,” is available at the Center for Immigration Studies web site www.cis.org. Cynical, or Just Plain Naïve? Is Gates of Vienna Swedish “Propaganda”? Where’s the ACLU on This One?